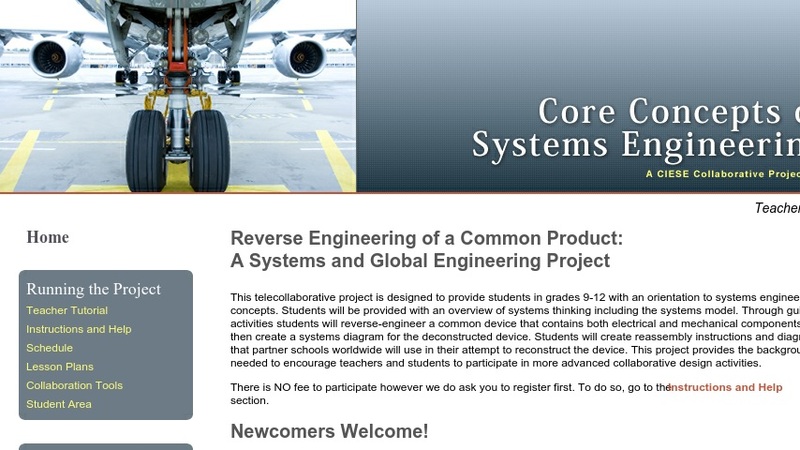 This telecollaborative project is designed to provide students in grades 9-12 with an orientation to systems engineering concepts. Through guided activities students will reverse-engineer a common device that contains both electrical and mechanical components and then create a systems diagram for the deconstructed device. (In this case, the device is a disposable camera.) In partnership with other project participants across the country, learners will reassemble the device and test their reconstruction against quality controls. The project is free with teacher registration. The module includes lesson plans, comprehensive teacher tutorial, reference material, question sets and worksheets, and digital collaboration tools. This resource was developed by the Center for Innovation in Science and Engineering Education (CIESE). Participation is cost-free with teacher registration. Editor's Note: Several components of this activity specifically address a physics curriculum. Disposable flash cameras provide an opportunity for analysis of electric field, charging a capacitor, and energy storage on a capacitor.